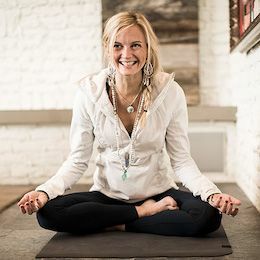 Nikki Glandon is the Founder/Owner of Oak + Willow Yoga + Wellness Studio, a yoga studio nestled between the Uintah and the Wasatch back. Nikki is also a LuluLemon Ambassador in Park City and owner of "Elevate and Company." She is a little bit country, and a little bit rock and roll. This little ball of fire is a bit of it all. She is as confident and comfortable out on the ranch as she is on a yoga mat. Nikki combines all of her passions into one fabulous life. Dave Swanwick was born and raised in Manhattan and attended the University of Vermont where he received a degree in Political Science and a minor in French. 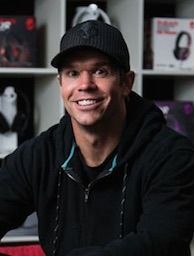 Upon founding MSI, Dave initially focused on business development via his industry connections as a World Extreme Skiing Champion. 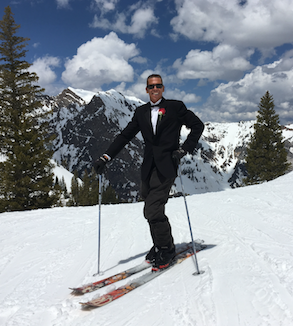 His experience as a professional athlete and heli-ski guide has brought an invaluable perspective to MSI's event production. As the company grew, Dave focused his energy on operations, overseeing or managing the production teams on virtually every MSI project. Over the past several years, MSI has created a strong team of project managers who manage their respective teams, allowing Dave the time to focus on new project development. 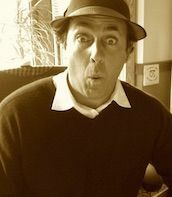 Gary Marcoccia started curating web content in 1998 between powder days at Alta. 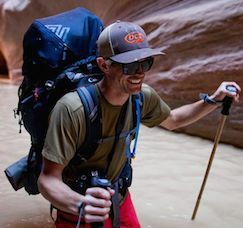 This inspired the creation of GravityFed, one of the first online communities spreading awareness of "Eccentric Athletes & Mountain Culture" from Utah's Wasatch Mountains. Gary is a brand builder, entrepreneur, and web publisher. 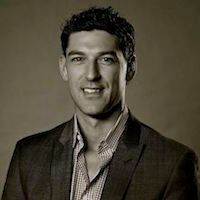 By way of several affiliate marketing businesses, and as a content creator since the late 90's, his interests have pivoted to influencer marketing and the platforms that bring it all together. 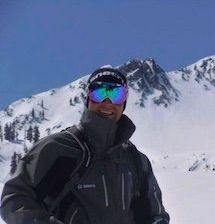 Jason is General Manager of Jackson Hole Mountain Guides. Jackson Hole Mountain Guides have been offering climbing adventures in Grand Teton National Park since 1968. JHMG also offers professional guiding services in the best climbing areas throughout the West. Jackson Hole Mountain Guides is an authorized concessioner of Grand Teton National Park, is permitted by the U.S.D.A. Forest Service to operate in the Bridger-Teton, Custer and Shoshone National Forests, by the Bureau of Land Management in Wyoming, Utah and Nevada, and in Colorado's Eldorado Canyon State Park and Boulder Open Space and Mountain Parks. 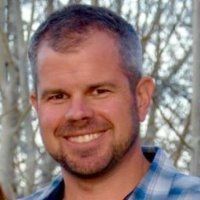 Prior to JHMG, Jason was Principal at DwellTek, a renewable energy and energy efficiency company that became first Certified B-Corp (Benefits Corporation) in Utah (joining the likes of Patagonia, Dansko and Tom’s) and led to the company being named Utah Green Business of the Year. Andy is a native of Columbus, Ohio, but spent his summers in Northern Michigan developing an early appreciation for the outdoors. He graduated from Miami (of Ohio) University in 1991 with a Bachelor of Philosophy and soon left the Midwest for the mountains of Alaska. 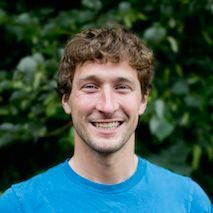 There he instructed for the National Outdoor Leadership School (NOLS)—leading extended trips into the Alaska wilderness. Eventually, Andy set up a permanent basecamp in Utah, and in 1995, moved to Park City to manage White Pine Touring. At White Pine he met his wife and business partner, Thea, while selling her skis. In 1998, Andy & Thea began acquiring and renovating properties within the Treasure Mountain Inn. A decade later they had successfully transformed TMI into a modern and eco-friendly hotel. Andy is a lifelong environmental advocate and was co-recipient of the 2010 Park City Environmental Hero. 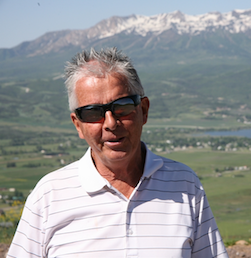 Until recently, he also served as President of the Historic Park City (Business) Alliance. When not at work, it’s almost certain Andy’s out skiing, biking, climbing, or exploring the surrounding mountains. 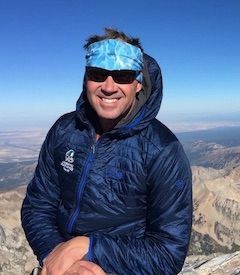 Chad joined the Utah Avalanche Center as Executive Director in July 2017. He is responsible for communications, marketing, fundraising, strategy, and UAC business operations. Chad spent the prior 20 years in the corporate world working for large consulting companies in technology consulting, program/project management, and data center operations. 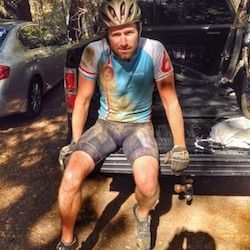 Chad is active in the UT outdoor community and is an avid backcountry skier, ski mountaineering racer, ultrarunner, and mountain biker. 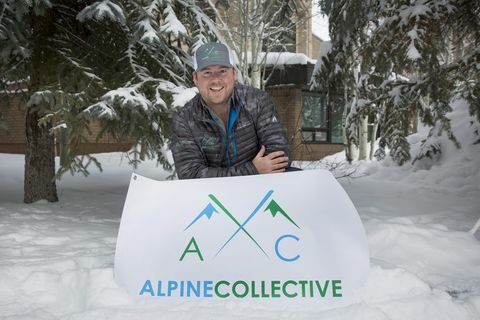 Chad and his wife Emily have been organizing the Wasatch Powder Keg ski mountaineering race for 10 years and he is a founding member of Utah Ski Mountaineering a local nonprofit geared at growing the sport of ski mountaineering and organizing races. 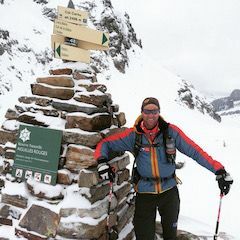 Chad has been on the board of the US Ski Mountaineering Association the past 6 years and has acted as coach of the US National Ski Mountaineering Team at the Ski Mountaineering World Championships since 2013. Craig is the sole avalanche forecaster for the western Uinta Mountains--an area accessed primarily by snowmobile--and also handles much of the avalanche education for snowmobile groups. 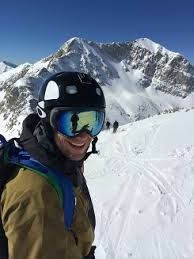 Craig has done avalanche control for Brighton Ski Area in Utah since the mid 1980's and then worked as a helicopter ski guide. He has worked for the Forest Service Utah Avalanche Center since 2000. Craig developed the Know Before You Go avalanche awareness program for young adults in 2004, which has been extremely popular. The one-hour program includes a 15-minute video and slide show presentation and is taught by a team of local avalanche professionals. The program has directly reached over 175,000 students in Utah to date and has spread around North America. Craig's legendary enthusiasm and communication skills keep him in high demand on the avalanche lecture circuit and television appearances. 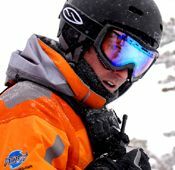 Ed is the Founder and CEO of SNOCRU - the first "micro-social" App built for the entire snow sports industry and is based in Park City, Utah. Rated #1 snowsports app by Ski Magazine, Snowboard Magazine, Tech Cocktail, Wired Magazine, and Freeskier Magazine, Ed wants people of all ability levels to enjoy skiing and snowboarding the way it should be, with friends. 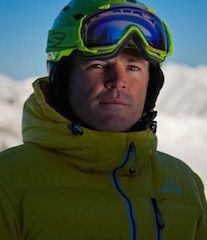 A graduate from the University of Vermont, Ed is co-owner of KingFisher Heliskiing. Also serving on the Board of Kensington Investment Company and Grand Circle Corporation. Ed also supports endeavors to raise awareness of the impact of global climate change through “Protect Our Winters” and efforts to improve accessibility to snow sports. Erik’s love of skiing brought him to Armada Skis as CEO in 2009. Armada is the North America’s largest privately held ski company and the reference for modern skiing and mountain lifestyle; Armada designs, develops, markets, and sells skis, outerwear, and apparel in over 40 countries. Erik spent significant time at the company’s headquarters in Park City, offices in Calgary and Innsbruck, as well as in the mountains testing product and meeting with customers. Prior to Armada, Erik received his MBA from Harvard Business School (HBS) where he was a recipient of the Rock Entrepreneurial Fellowship. Before HBS, Erik worked at Partners Capital Investment Group managing a multi-asset class hedge fund and overseeing private equity investments. Erik’s corporate career began with PRTM Management Consultants after graduating from Cornell University with Honors. Erik’s background is as diverse as his passions. 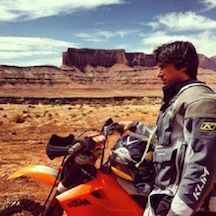 He has been involved in a number of successful entrepreneurial enterprises, worked for a non-profit in Nepal, was a climbing guide in Mexico, and played professional soccer in Bolivia. Maria is the Chief Operating Officer of SIA (Snowsports Industries America). SIA is the non-profit, North American member-owned trade association representing suppliers of consumer snow sports with constituents in the retailer, rep and resort communities. Prior to SIA, Maria was the president of M3 Events and Entertainment, a global consulting firm that specializes in youth marketing, partnership marketing and acquisition, content generation and rights management, and event production. Graduating with honors from the University of California, Santa Cruz with a BA in Asian History and a JD from the University of Utah College of Law, Maria has been actively involved with the winter sports/outdoor lifestyle industry since 1990. However, Maria is most proud of her contributions to snowboarding. 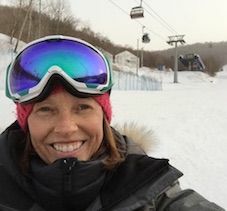 She has produced events at two Winter Olympic Games and dozens of other elite international competitions; produced and distributed hundreds of hours of global television and live webcast programming; helped launch the International Judges Commission and develop the Snowboard Live Scoring System ("SLS"); and has been an active member of the Board of Directors of TTR Pro Snowboarding since 2003 and is currently serving as the Vice President. Maria is a long time resident of Old Town, Park City. 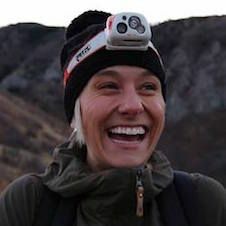 Megan Harrod is the alpine press officer at the U.S. Ski and Snowboard Association. Megan has an extensive background in communications and over 15 years of racing and coaching experience. She will serve as a liaison between U.S. Alpine Ski Team athletes and staff and the public, with a key focus on athlete management while growing awareness of athletes and the team. Hailing from the Midwest, Megan began her skiing career in Wisconsin where she was a USSA and FIS competitor. She attended St. Olaf College in Northfield, MN where she claimed numerous honors, including top 15 USCSA Nationals Combined and All-American during the 2004-05 season. Following her competitive racing career, Megan coached for Team Gilboa’s junior race program for six years. Team Gilboa is based at Hyland Hills in Bloomington, MN. Prior to joining the USSA, Megan was co-owner and director sales and marketing for Ethnotek Bags, coached CrossFit at The Firm MPLS and worked at Olson, an ad agency with a digital focus located in Minneapolis. She is based in Salt Lake City, and is traveling the Audi FIS Alpine World cup circuit this winter. Mike works for Graystone Consulting, a business of Morgan Stanley. Mike is very active in his community having served on numerous non-profit boards over the past 13 years. He is currently involved with the Park City Community Foundation and National Ability Center. Past board of director positions include Park City Friends of Animals, Summit County Open Space Committee, Park Silly Sunday Market, The Speedy Foundation, the United Way of Salt Lake and Summit County Advisory Board. He received his BS from the University of Utah and Executive Education at the Wharton School. Mike and his family try to take advantage of all that Park City has to offer including skiing, mountain biking and fly fishing. In his spare time he tracks buoys in the Pacific to predict winter storms in the Wasatch. Scott Thomson most recently opened a new speakeasy bar and live music venue called O.P. Rockwell on Main Street in Park City. The 480 capacity venue has already made a name for itself hosting nationally touring bands as well as many Sundance parties during the 2015 film festival. Scott also started Bar Twenty Properties a boutique Real Estate Company focused on both residential and commercial investment properties in conjunction with Bar Twenty Land & Cattle Co. in 2010. He first began his Real Estate career when he joined Commerce CRG a Cushman Wakefield affiliate in 2005. Scott specialized in Investment properties for his clients as well as the leasing of Retail Centers and Office Buildings . Prior to moving to Park City Scott lived in the San Francisco and Marin County for 9 years working as a Network Consultant for a Cisco Systems Partner. He played lacrosse in college and started a small company designing and manufacturing lacrosse sticks. Voodoo Lacrosse Co. still exists with new stick designs being developed yearly. Scott also attended the University of Colorado to some degree and played lacrosse at Chapman University in Orange County, CA. Originally from Newport Beach, CA Scott and his family moved to Aspen, CO at an early age where he split his time skiing and surfing. 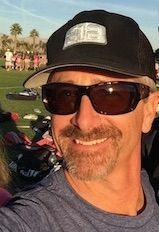 He enjoys Angels Baseball, Kings Hockey, Broncos Football, and can't wait for the day Boulder fields a nationally ranked team as they did when he attended school. Tim Charlwood purchased 525 acres above Green Hill Country Estates, east of Huntsville, with the ultimate goal of creating a private, gated community of homesites bordering 10,000 acres of forest service land. Each homesite has a minimum of 40 acres and was carefully thought out with the best views and privacy in mind. The Sanctuary Ranch Utah is located at the top of Maple Canyon providing residents with an appealing, secluded home base for outdoor activities like heli-skiing, horseback riding, hiking, fishing and other outdoor activities. The 525 acre Mountain Retreat has breathtaking views of Snowbasin Ski Resort, Pineview Reservoir and Ogden Valley. 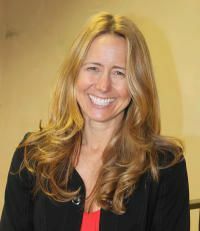 Trisha Worthington rejoined the USSA in 2014 to oversee fundraising to support USSA athletic programs through the U.S. Ski and Snowboard Team Foundation. She previously headed fundraising for the Foundation from 1995-2007, increasing its annual fund to $5 million and spearheading its $60 million Legacy Fund endowment, a portion of which funded the USSA Center of Excellence. Worthington served as executive director of the Park City Community Foundation since its inception in 2007. Her leadership of the Park City Community Foundation resulted in investment of over $5 million into the community through grant programs and initiatives, including raising nearly $1 million in a single day of giving. She grew the foundation from its start to assets of over $7 million. Worthington and her husband Trace, an Olympian and highly-decorated freestyle skier, live in Park City where they are raising two daughters. Thomas co-founded Rally Interactive in 2011 with a previous background that included running digital marketing at Canyons resort, overseeing sales, marketing, and reservations at a Deer Valley and Park City-based lodging company, and managing the strategic efforts of the creative agency that launched Utah’s “Life Elevated” tourism rebrand for Utah’s Office of Tourism. Rally Interactive is a digital product development studio that has built Apple Design Award winning apps for National Geographic Society, and lists espn, Google, Nokia, Progressive Insurance, Snowbird Ski & Summer Resort, and the Boston Globe among their clients. 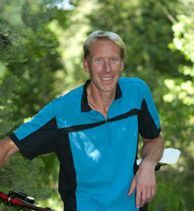 Thomas is also the founder of the X-Men, a Park City-based cycling club that is celebrating its 20th anniversary in 2015. 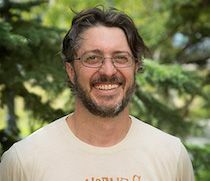 Born and raised in Connecticut, Thomas moved to Park City for the mountains in 1993 and never looked back. When not riding bikes, he and his wife Teresa do their best to keep up with their daughter on the ski hill.